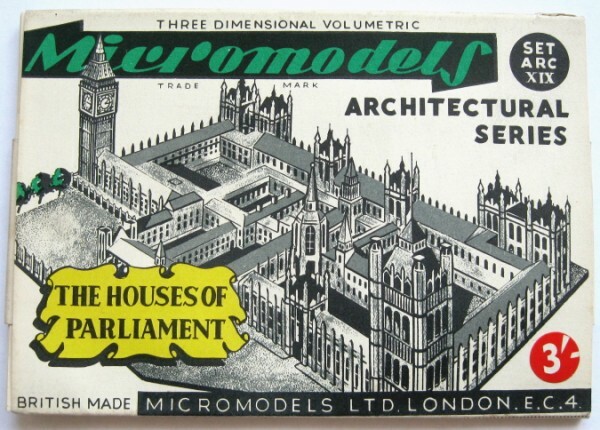 Description First and only printing was in 1953 at 3/4d. 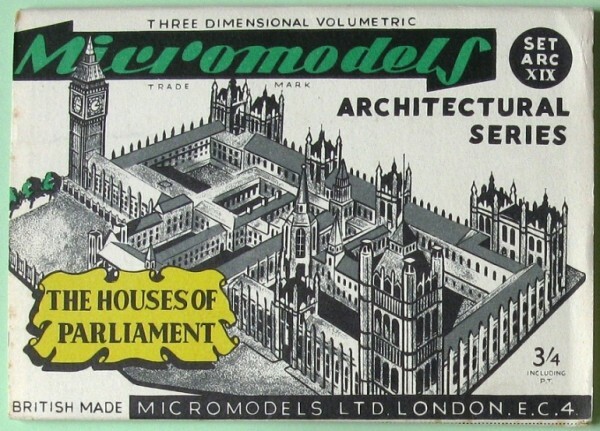 There is also a version at 3/-d with a price sticker over the original price. This is done by Broadway Approvals in 1958. 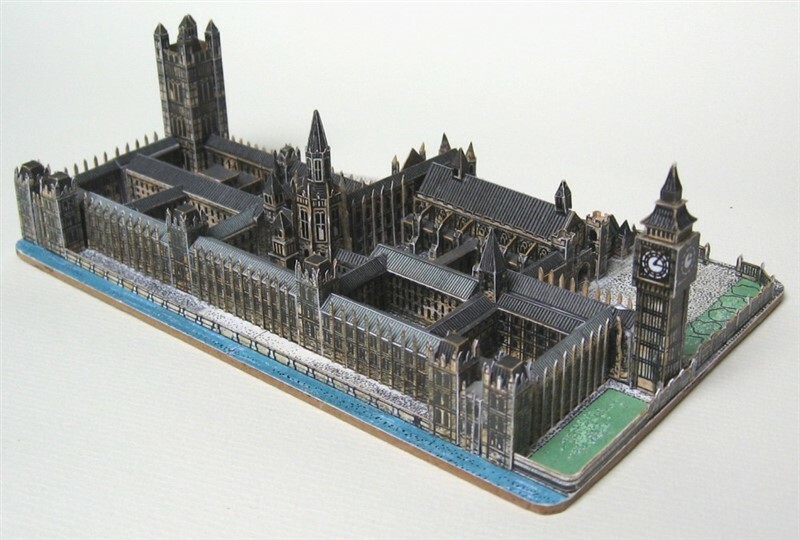 Houses of Parliament is the second model in the Coronation Set for the Coronation celebrations that year. 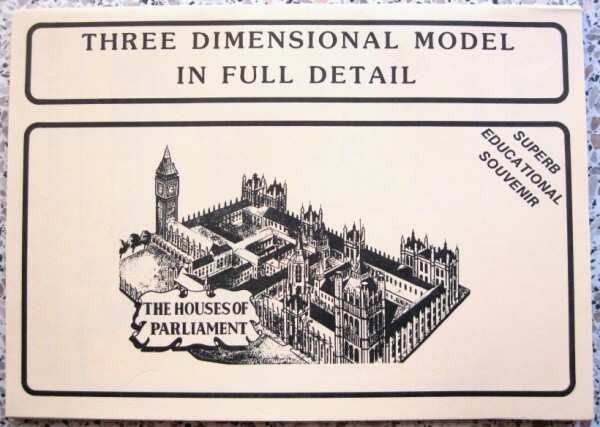 Magnus Models published this model in 1985. It was 50% enlarged and in black and white. 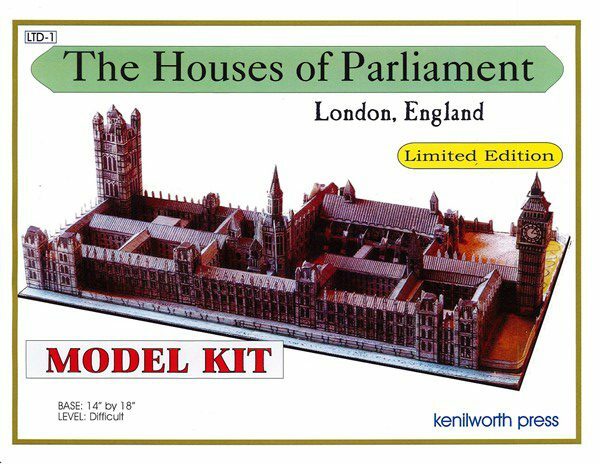 Kenilworth Press also published this model in their “Limited Edition” series. 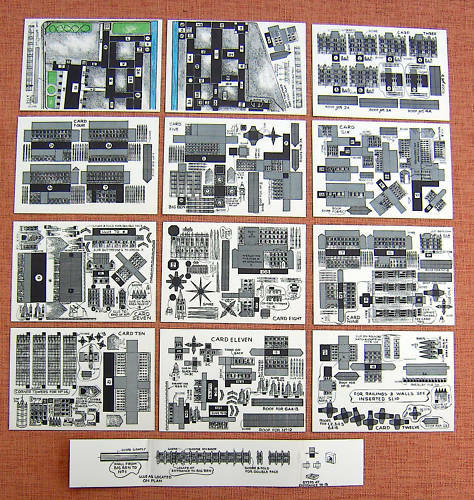 It is about twice the size of the original and is numbered LTD-1. 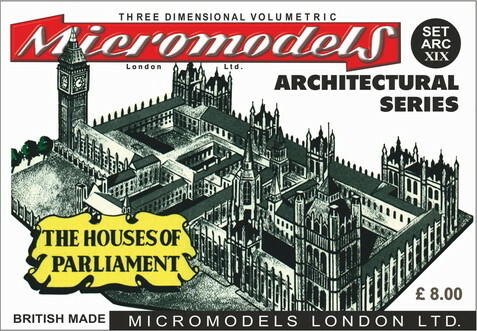 Micromodels London has designed a wrapper, and has the intention to publish the Houses of Parliament model in the near future.